CV’s or Resumes are an out dated way to communicate skills and expertise as shown by SpeedSynch Resonance Maps. Consider how close Tony’s CV and the Workopolis job requisition below which brilliantly communicates a need for expertise. 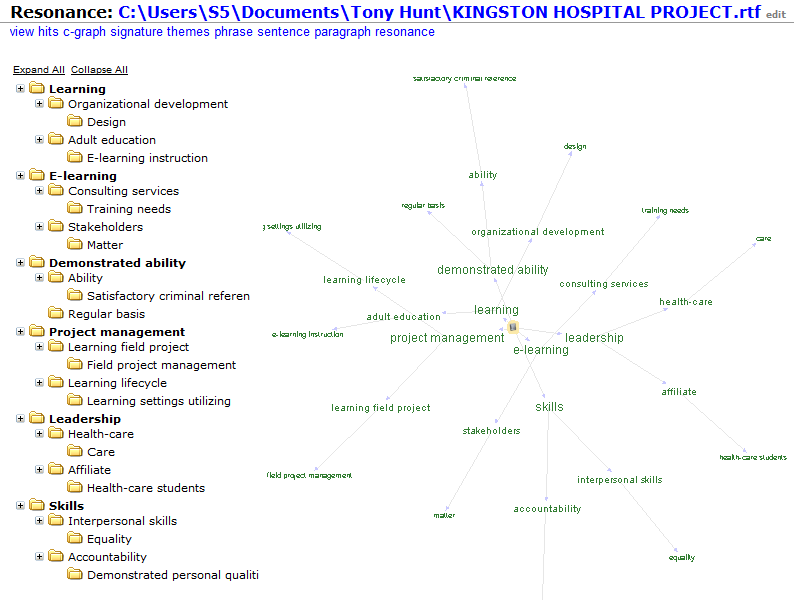 Tony used the @SpeedSynch Resonance Map of the Kingston Hospital job requisition to direct his interview focus from the perspective of the employer to rise above his competition! The interview went very well and the final question was ‘do you have any questions’, to which Tony replied, ‘ tell me what you mean by Organizational development and how this project will impact your Stakeholders’. Call us if you need to align people or project teams to reduce your risk or improve the quality of your project outcome. 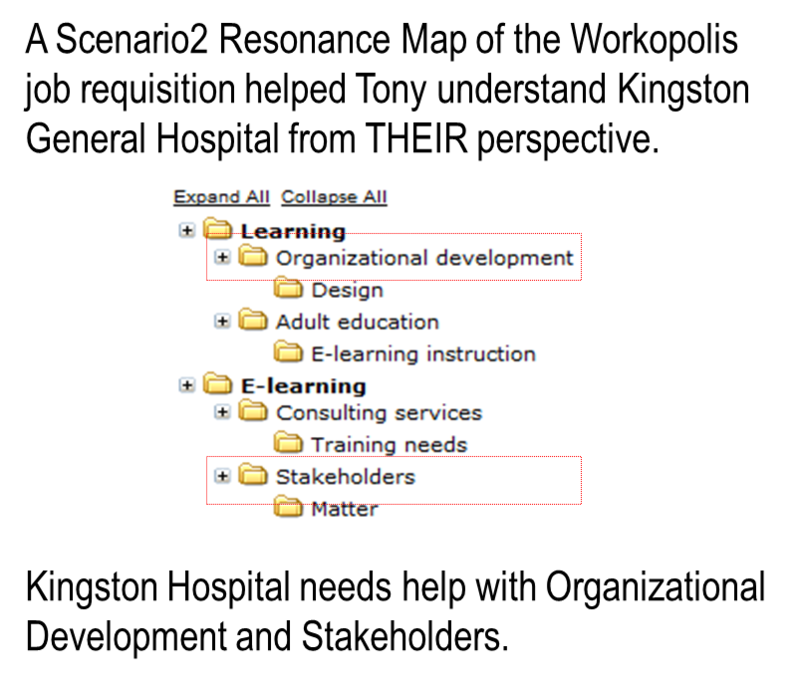 This entry was posted on	2011/08/14 at 1:14 pm	and is filed under Uncategorized.